At the Provide License step of the wizard, provide a license file. 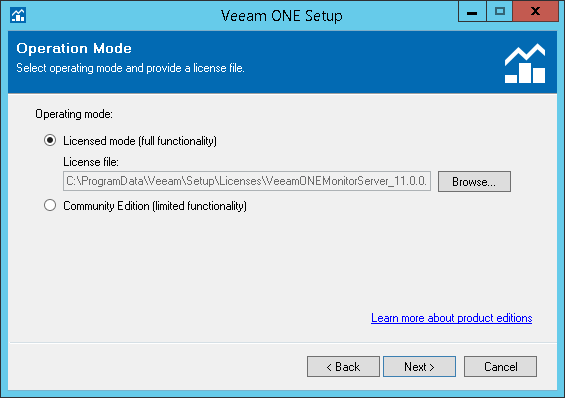 Select the Full functionality mode option, click Browse and specify the path to the license file. To continue without providing a license, select the Community Edition mode option. In this case the product will work in the limited functionality mode. To learn what functionality you are missing with the Community Edition mode, click the Review Community Edition mode limitations link at the bottom right corner of the wizard.